It’s beginning to rain again, after 1 of the driest Aprils on record. With rain comes growth, green, and mosquitoes. And with mosquitoes come Dengue, and Zika and, new to Grenada, Yellow Fever, which is edging nearer to the island. Not a pleasant prospect, any more than babies born with undersized heads — a complication of Zika. It only takes 1 mosquito to bite someone with Dengue (or Zika, or Yellow Fever), and then bite the next person, and the spreading of the disease begins. And it only takes a little standing water — a spoonful is enough — and a few days, for the mosquito to start breeding. The eggs are all around us, waiting — mosquito eggs can remain dormant for up to 14 months. We all know the precautions: clear blocked gutters, tightly cover water containers, put tyres somewhere where they cannot fill with water. But how many of us actually do these things before it is too late? 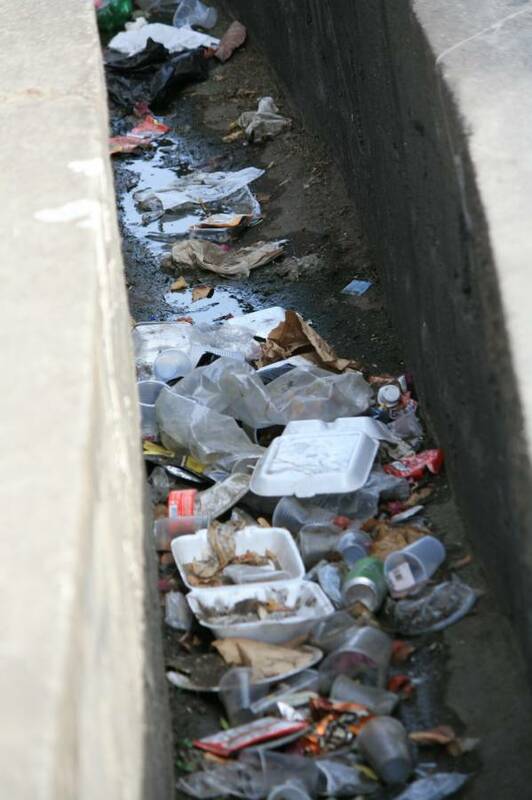 Every discarded food container, every cup, every wrapper that can catch the rain is a mosquito nursery, just as is every drain that is blocked by litter. It’s as easy as that — cause and effect. You reap what you sow. There should be outrage at littering. It is an assault on the health of all of us. If you get Zika (and if you got Chikungunya 2 years ago), thank a litterer.